A classic dance piece titled “MUSU – The Saga of the Slaves”, last week recounted horrid experiences by African slaves at the hands of white slave dealers and their African collaborators in a fast moving, passionate and highly inventive performance. Co-choreographed by late Prof F. Nii Yartey (Ghana) / Monty Thompson (US Virgin Islands) and performed by the National Dance Company, the piece opens with gestural phrases alongside facial expressions that exude fear, uncertainty, frustration, sorrow and anger. 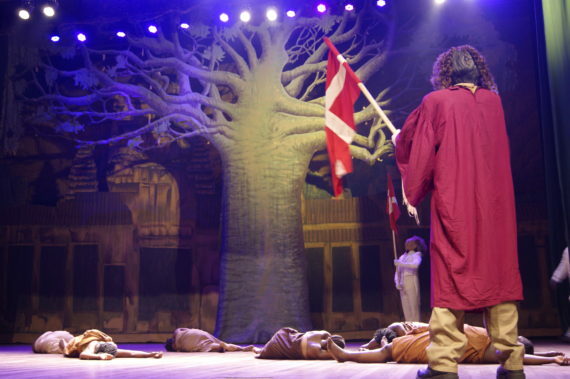 Directed by Nii Tete Yartey, the performance took the audience deep into history including the Danish involvement, less discussed issues relating to the slave trade debacle and local chiefs in full regalia accepting gifts (bribes) from white raiders in exchange for slaves. 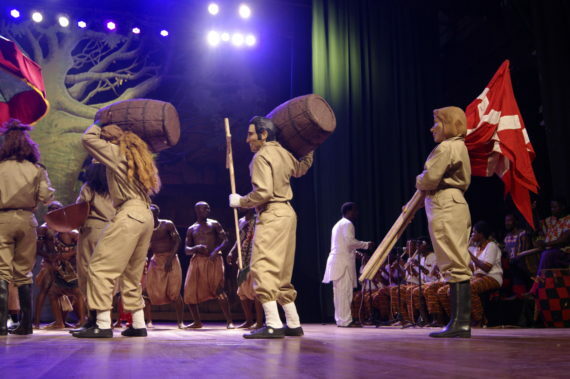 Organized by the National Theatre of Ghana as part of activities marking PANAFEST 2017, the irony of the situation of Africans fighting Africans for slave trophies is vividly revealed through fantastically designed costumes and suggestive movements that interchange in unison with various weapons. 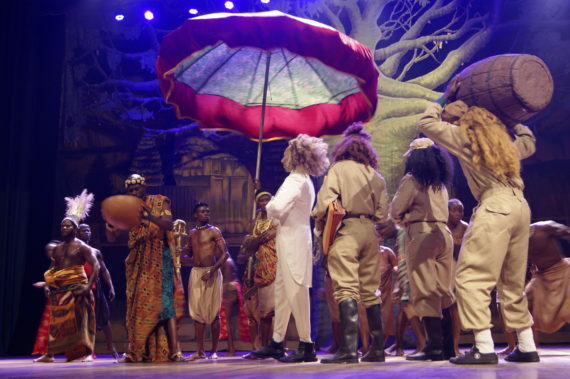 “This is a pure historical production that takes us back in time – we need more of such creations in Ghana. 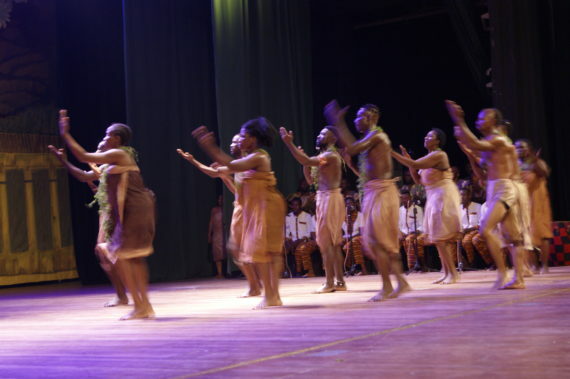 Indeed, our musicians, film makers, choreographers, theatre directors and poets must work with historians in this direction”, said Atta Yaw, a designer in Accra. 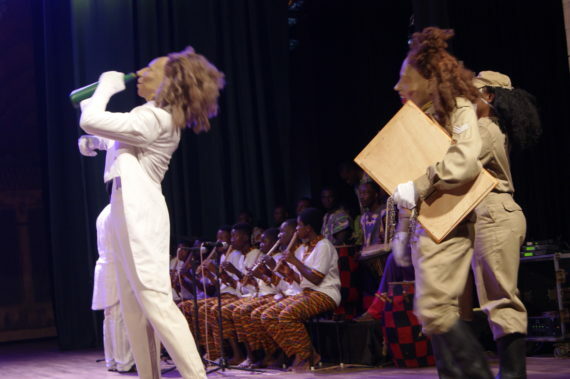 Interspersed with music from the Pan African Youth Orchestra, the dancers created emotional conditions within strict forms that are movingly perceptible. 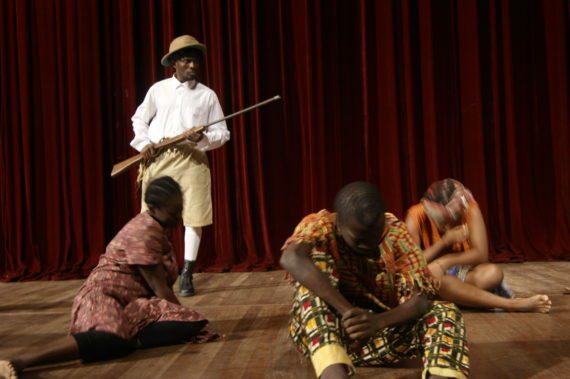 In the process, the brutalities, murders and gross inhuman treatment of our forefathers and mothers were relived on stage. Attempted escapes end in executions while successful escapees commit suicide when recapturing is imminent – indeed, scenes of this nature simply left some members of the audience clutching the sides of their seats while imagining the agony suffered by their ancestors. 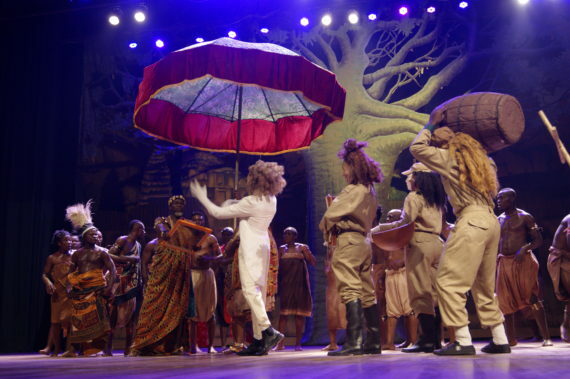 With an impressive stage design that comprise a giant stylized baobab tree by David Amoo, the piece, which is laced with traditional Ghanaian movements included clashes that led to frantic and frenetic movements which climaxed the evening in a melodramatic manner. 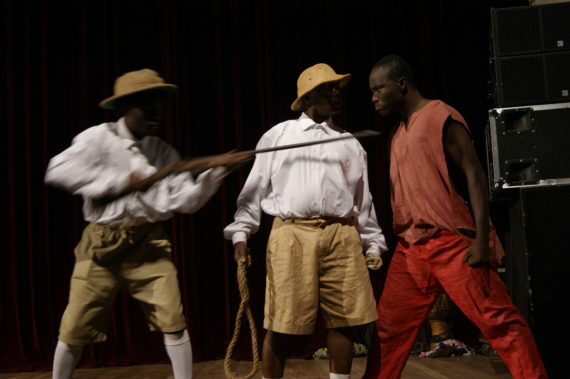 Earlier the National Drama Company performed an equally traumatizing piece on how the slaves were treated by white slave dealers and their local African accomplices during the long period of the Trans-Atlantic slave trade.